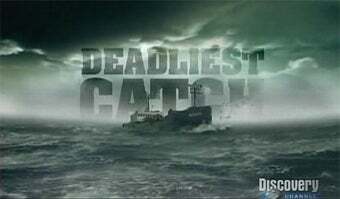 Microsoft has teamed up with Discovery to deliver 2 million Microsoft points via the Deadliest Catch Text to Win Sweepstakes. Microsoft is doing up Discovery's crap-fishing television series big across all of its various networks, including MSN, MSN Mobile, Hotmail, and of course, Xbox Live. The promotion, which started on April 10th and ends tomorrow at Midnight, has players texting special mobile phone numbers for a chance to be one of 5,000 winners of 2 million Microsoft points. The codes can be found either through video clips accessible via Xbox Live ads, or through in-game advertisements in certain Xbox 360 games, including Madden NFL 09, Need for Speed: Undercover, Battlefield: Bad Company, Mercenaries 2, Tom Clancy's Rainbow Six: Vegas 2, Shaun White Snowboarding, Skate2, and NHL 09. The best part of the promotion is not actually having to watch The Deadliest Catch to participate. Not that it is a bad show...it's just one of those trap programs you cannot tear yourself away from no matter how hard you try. I've spent many a weekend afternoon watching countless hours of crab fishing, and I don't even eat seafood. That's too much power for one show to have.